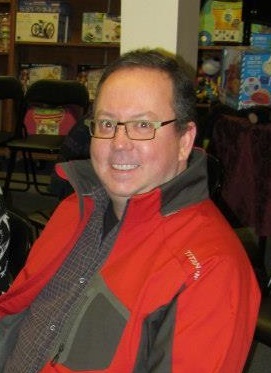 Dave Gross is the author of the Radovan & the count novels for Pathfinder Tales, including Prince of Wolves, Master of Devils, Queen of Thorns, King of Chaos, and Lord of Runes.After teaching English and working as a technical writer, Dave joined TSR, Inc. as editor for Polyhedron Newszine. He moved successively from Dungeon Adventures to Dragon Magazine, then to Star Wars Insider and Gamer, and finally to Amazing Stories. He has dabbled in writing for computer games and still contributes to a roleplaying book now and then. Dave’s first professional publications were short stories in Forgotten Realms anthologies. While he has continued to write short fiction, he has since published novels for the Forgotten Realms, Pathfinder, Warmachine, Arkham Horror, and other settings. He has also contributed to fiction anthologies including Tales of the Far West, Shotguns v. Cthulhu, The Lion and the Aardvark, Shattered Shields, and Gods, Memes, and Monsters. Dave is fond of movies, theater, tabletop games, and a good cocktail. He lives in Alberta, Canada, with his extraordinary wife, their bullying cat, and an eternally hungry Portuguese water dog.